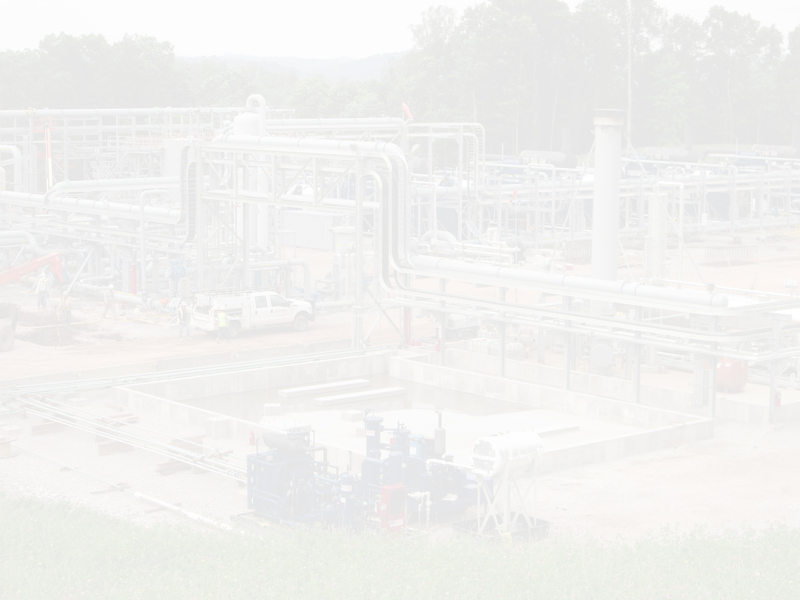 Discover why MEC is a leader in the construction and advancement of new and existing mid stream gas facilities, industrial plants, and pipeline services. 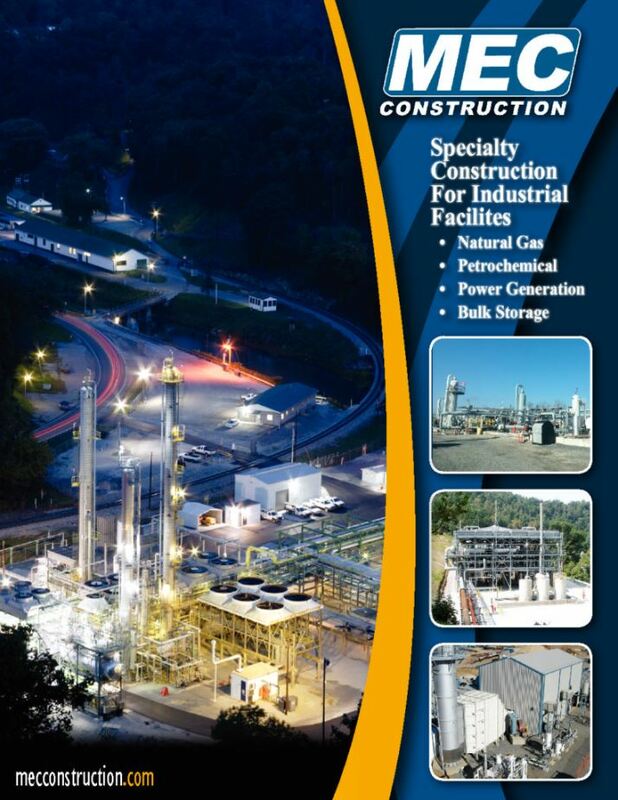 From our roots in Appalachia, our company has grown to the Mid Atlantic industrial facility construction market leader. Learn more today! Since 1981 MEC has pioneered the construction of gas transmission facilities. Pushing the boundaries of current technology and hands-on, in the field experience are the keys to our success. MEC Construction is well qualified to build Mainline Natural Gas Compressor and Transmission Stations with exceptional expertise. 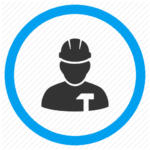 The depth of our contracting knowledge is applied to finding new and better ways to get the job done which adds up to a level of performance that only MEC Construction can offer. On March 14, 2019, MEC Construction LLC was named the Construction Company of the Year at the 2019 Northeast Oil & Gas Awards held in Pittsburgh, PA. 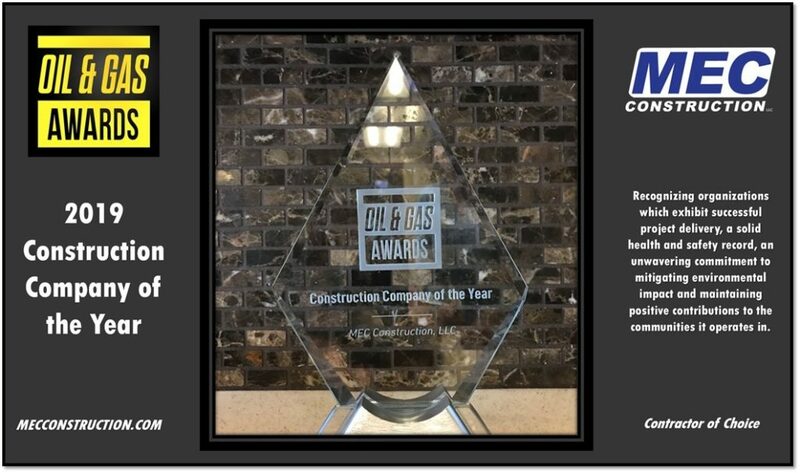 The Oil & Gas Awards' "Construction Company of the Year" award recognizes companies who excel in civil, electrical, mechanical, pipeline construction, refinery or petrochemical plants. This award is presented to the company which exhibits successful project delivery, a solid health and safety record, an unwavering commitment to mitigating environmental impact and maintains positive contributions to the communities it operates in.